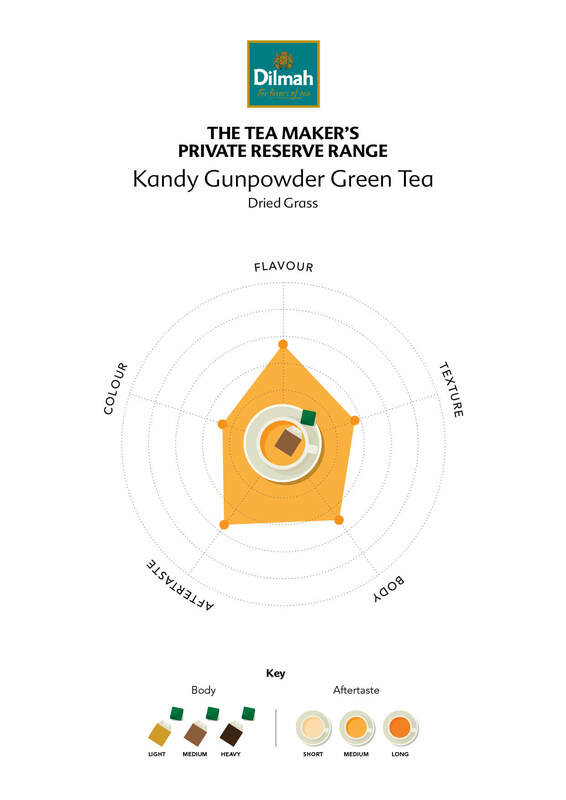 The Teamaker‘s Private Reserve is an eclectic collection of rare, fine teas. 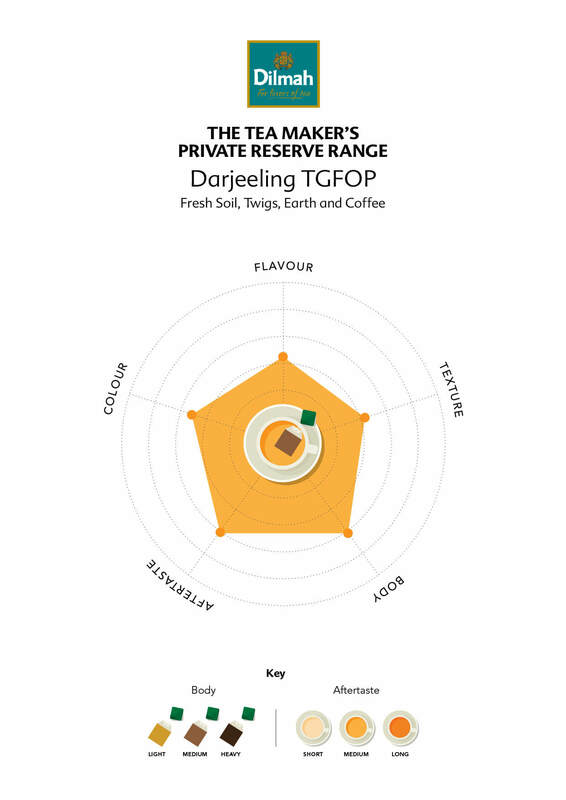 Each handpicked by Merrill J. Fernando, Founder of Dilmah they are chosen to present the indulgent pleasure in tea. 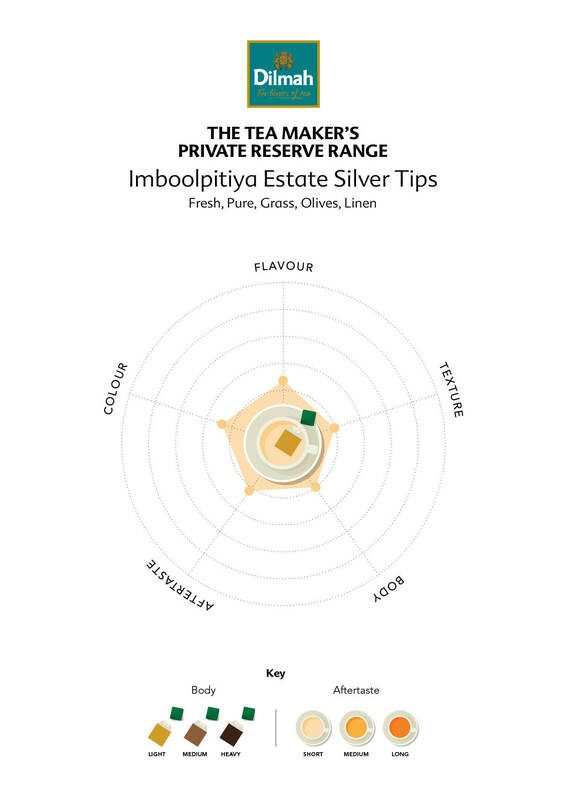 Expressed in myriad flavours, textures and colours, the teas range from the artful elegance of Ceylon Single Estate Silver Tips from lmboolpitiya Estate to the pungent, smoky Ceylon Souchong from Rilhena Estate. 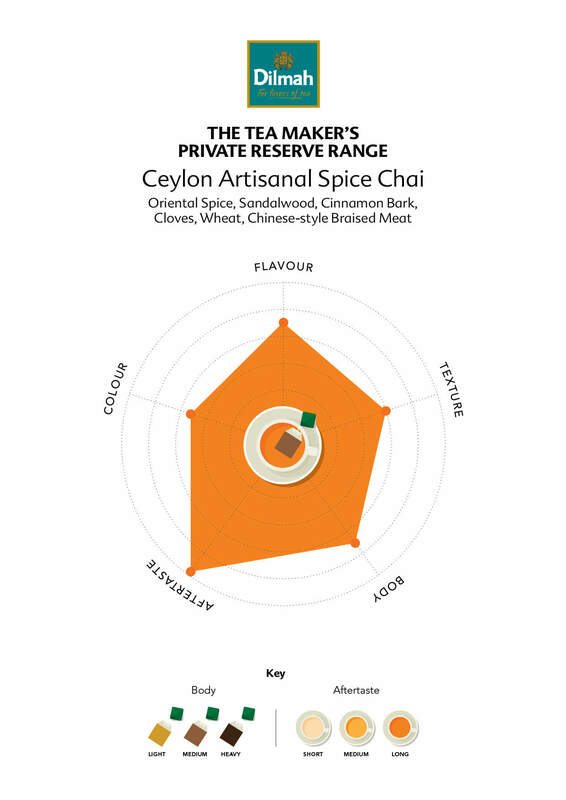 A deliciously authentic Ceylon Artisanal Spice Chai extends the tea experience with a traditional fusion of the spices that brought early explorers to and her exceptional teas. 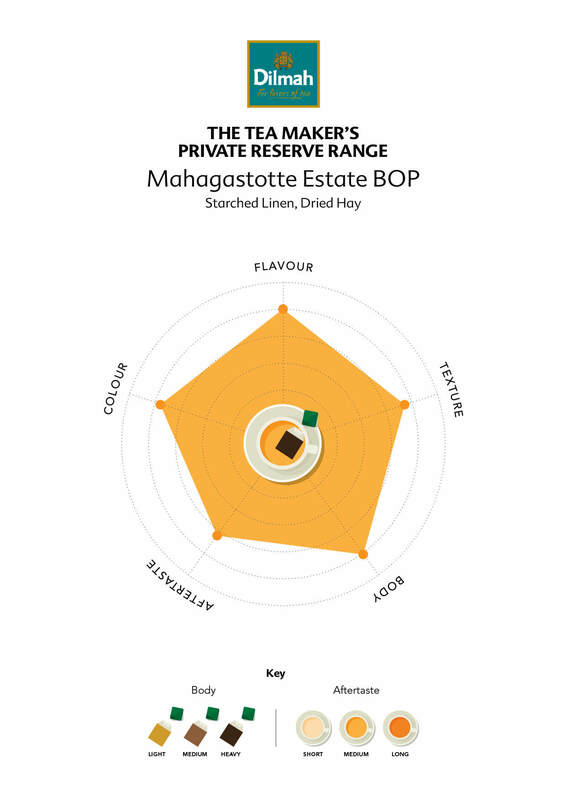 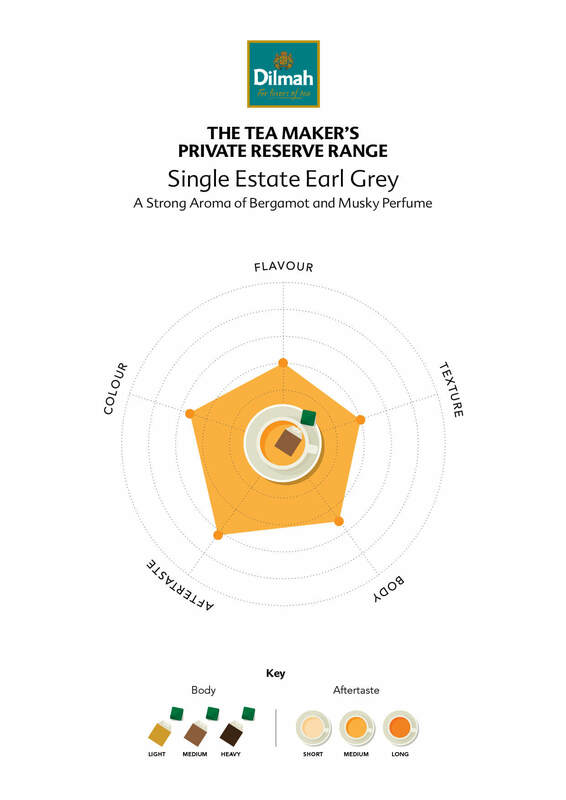 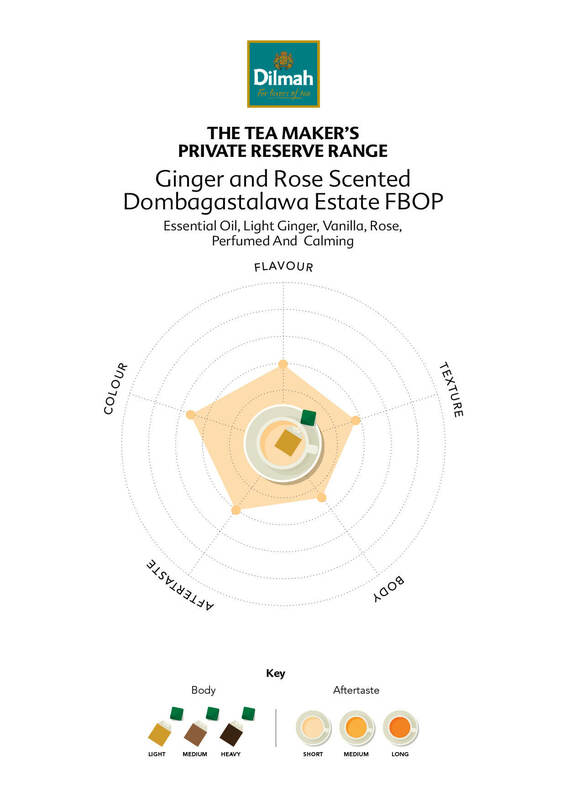 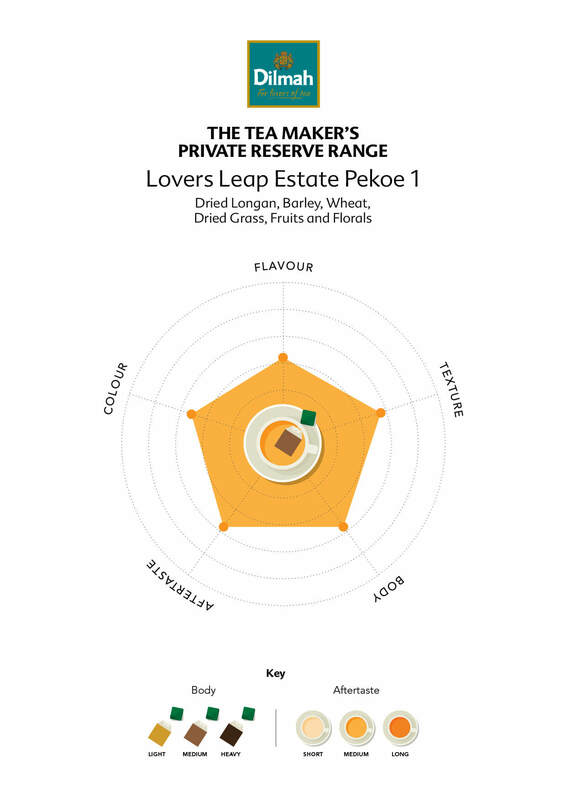 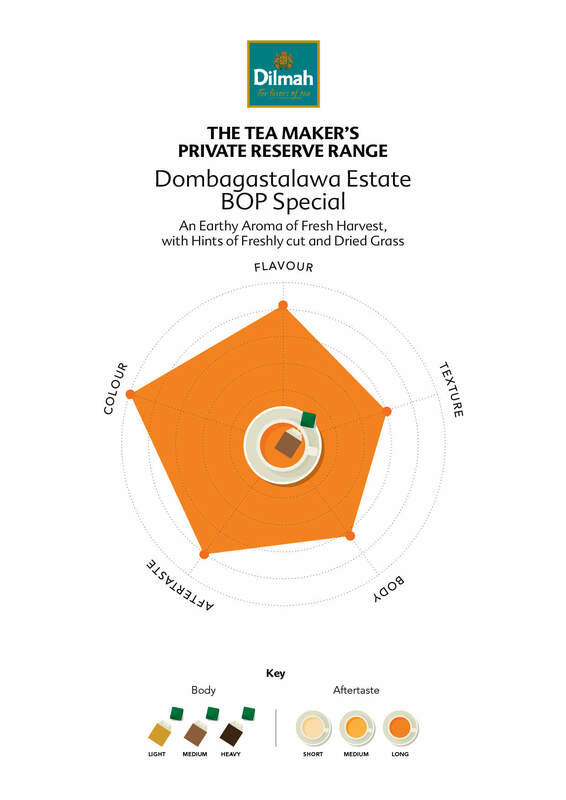 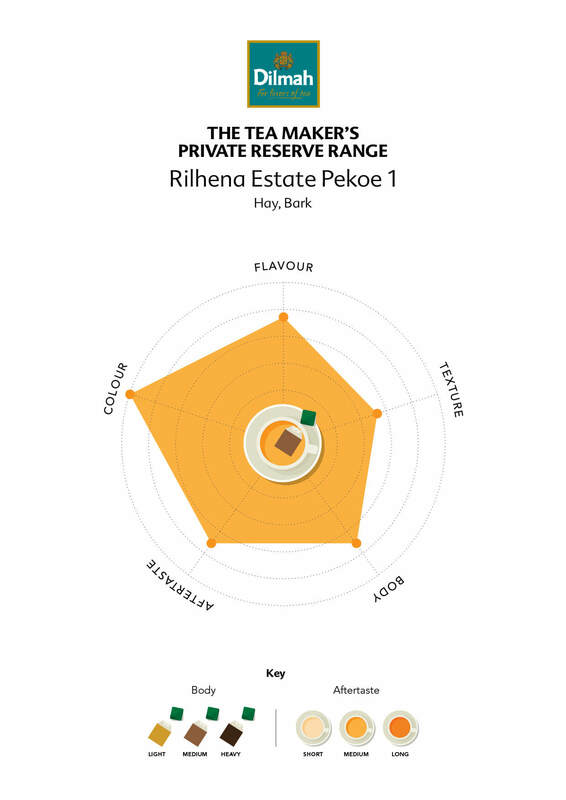 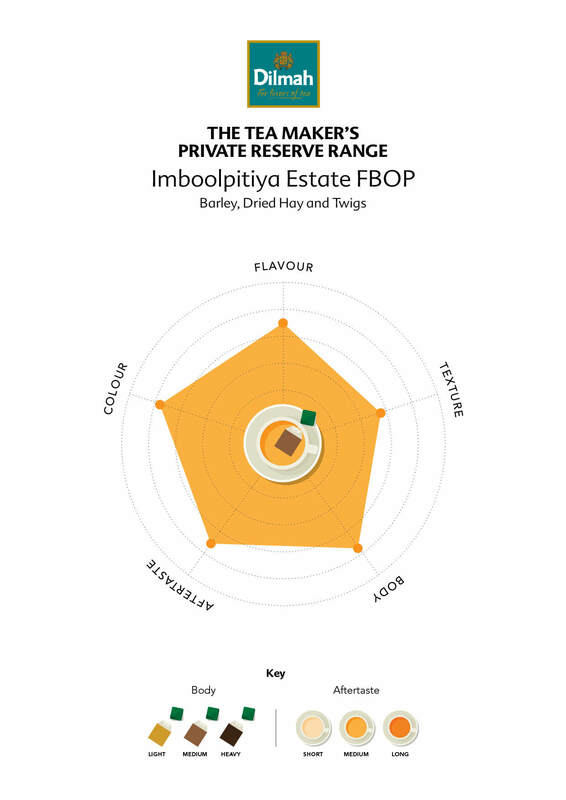 Combining Single Estate Teas from Nilagama and Dombagastalawa with subtle flavour in aromatic and harmonious embrace are the Teamaker‘s Private Reserve Earl Grey, Mango and Rose with Ginger. 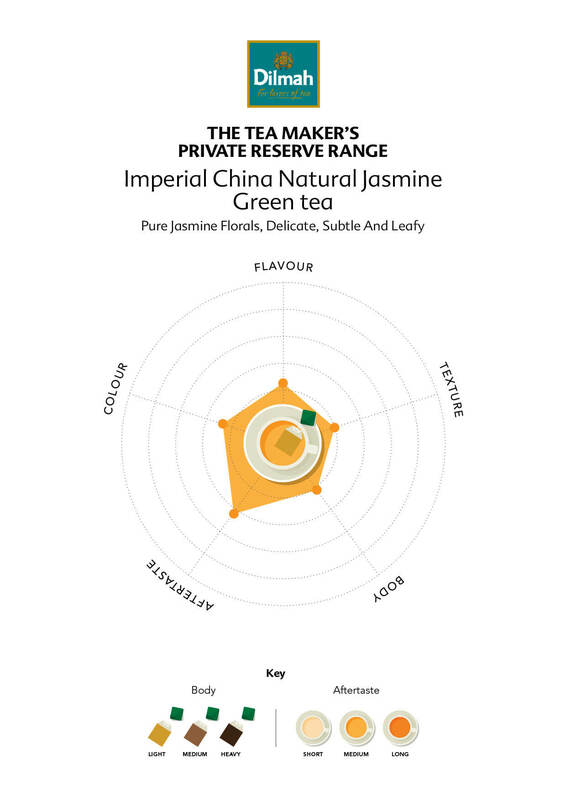 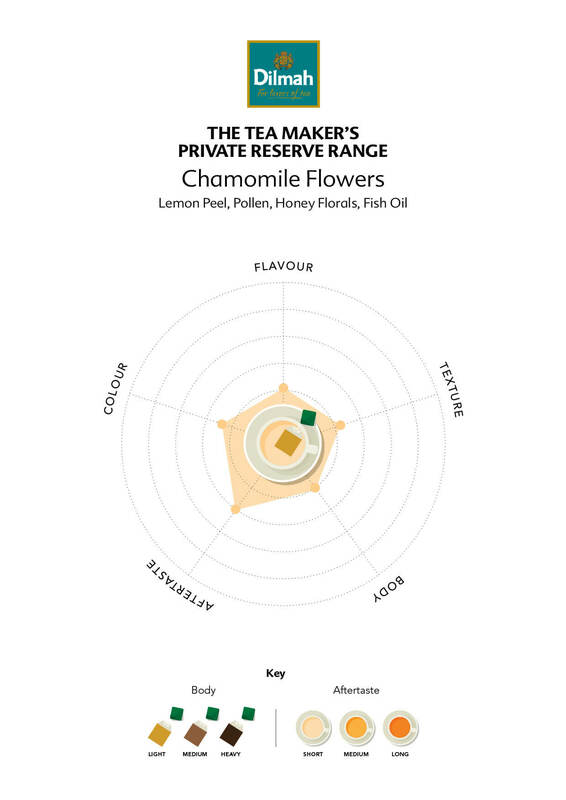 The Chamomile flowers complements the teas with a naturally caffeine free, herbal infusion.